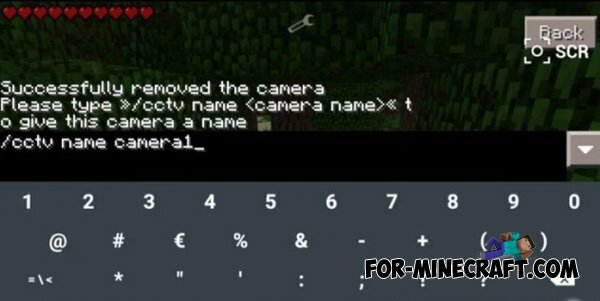 CCTV Security Camera Mod for Minecraft PE 0.10.0 - this mod on camera video surveillance for Minecraft PE 0.10.0. With this mod you can play in place special cameras to monitor and watch everything that happens on these cameras. Craft camera you can see below. You can also add this camera, its ID 18. The camera uses special commands to read them, you can also lower.